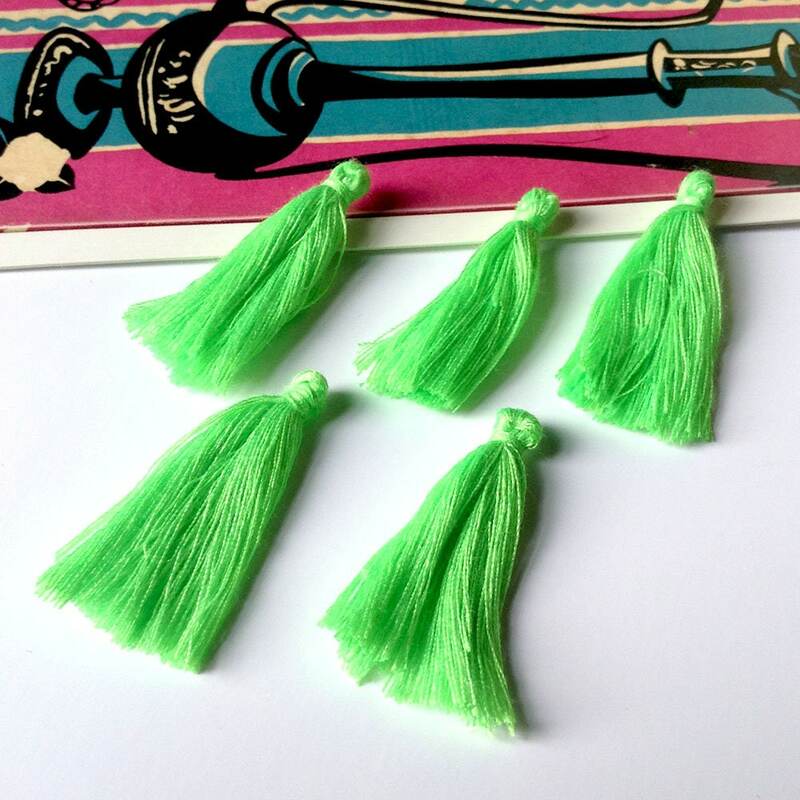 A bulk lot of 50 mini neon green cotton tassels. 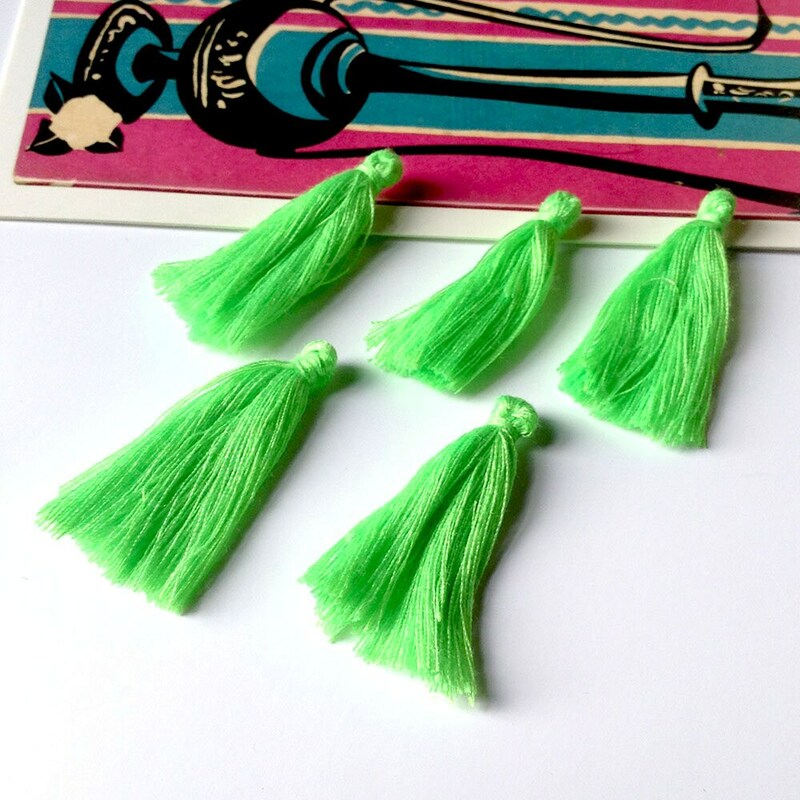 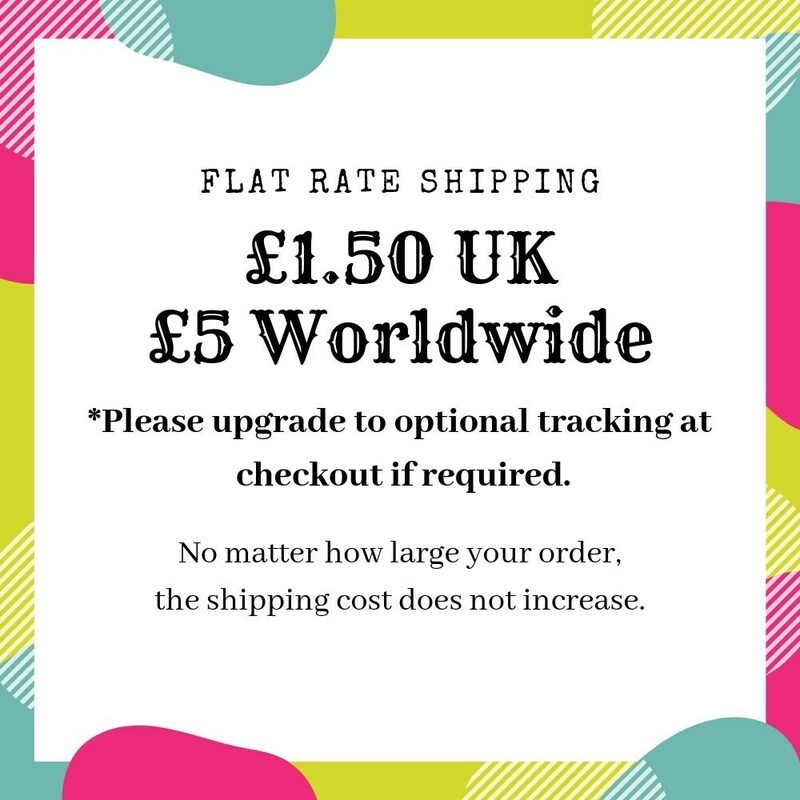 These can be used with jumprings to attach to jewelry or stitched on to various sewing and crafts projects. 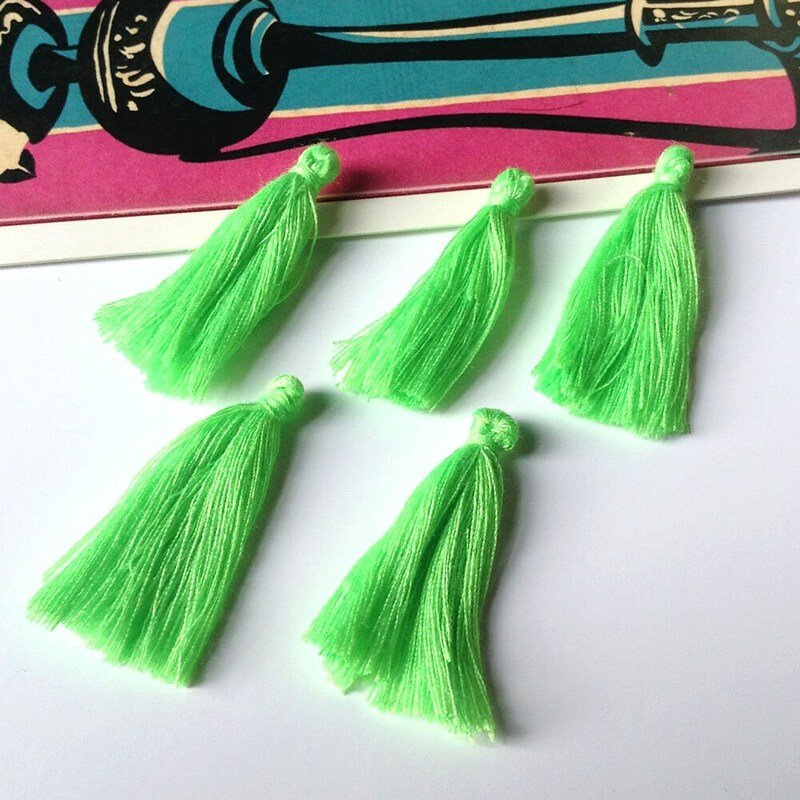 These little fluoro green tassels measure approx 25mm (1") long.